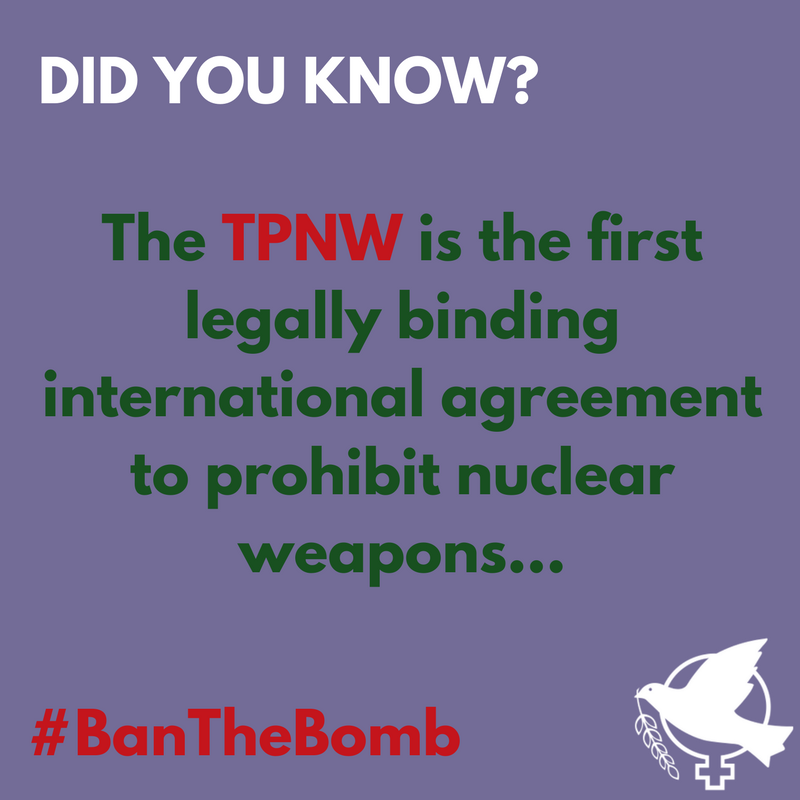 If you think that no one in America knows anything about the 2017 United Nations Nuclear Ban Treaty (TPNW) – think again. Tim and Vicki Wallis have started a campaign, to use the Treaty for the Prohibition of Nuclear Weapons, as a lever to change the conversation for grass roots Americans on the nuclear threat. There are now 69 countries that have signed TPNW and 19 that have ratified. When 50 states have ratified the international treaty will come into force. That will mean that even non-signatory nuclear weapons states will be affected by the compliance of their neighbours. Tim and Vicki are using the strength of civil society to target companies like Honeywell for example, which work for the nuclear industry but also are important makers of domestic thermostats. Their tactic is to get a local Quaker group to ask Honeywell to withdraw from the nuclear industry, threatening them with boycotting their thermostats and following through on their threat. Did you know that the important state of California has voted to support TPNW? There are some 200 cities across the USA which are recorded as supporting TPNW and will “do whatever is within their jurisdiction and control” to comply with the treaty. Universities, which have massive endowment investments are being approached to ask them to comply with their own “ethical investor” guidelines and get out of nuclear. Candidates in the upcoming mid-term elections in the USA are being encouraged to sign the “parliamentary pledge” to support TPNW. Pope Francis, the Synod of the Church of England are leading voices in favour of TPNW and here in the UK we can use their position to encourage faith groups in our communities to take action. 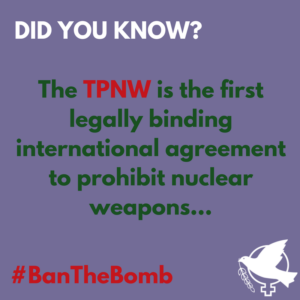 ICAN, the international civil society, campaign against nuclear weapons, won the Nobel Peace Prize in 2017 for enabling the TPNW to be agreed at the UN and is a leading source of information. Now there is this new website with useful materials here. Now its up to us. Who can we influence to back the Treaty for the Prohibition of nuclear weapons?